File photos of Israeli Prime Minister Benjamin Netanyahu (L) and Israeli actress Gal Gadot (R). Prime Minister Benjamin Netanyahu says Israel is the homeland "only of the Jewish people," in a new jab at the country's Arab minority ahead of April's election. Netanyahu on Sunday addressed "slightly confused people" after an Israeli celebrity defended the rights of Israel's Arab population. Arabs comprise about 20 percent of Israel's 9 million residents. They have full citizenship rights but have faced decades of discrimination. On Saturday, actress Rotem Sela denounced Netanyahu's frequent talking point that his political rival will form a government with Arab political parties. "When the hell will someone in this government tell the public that Israel is a country of all its citizens," Sela wrote on Instagram. Netanyahu responded: Israel "is the national state, not of all its citizens, but only of the Jewish people." 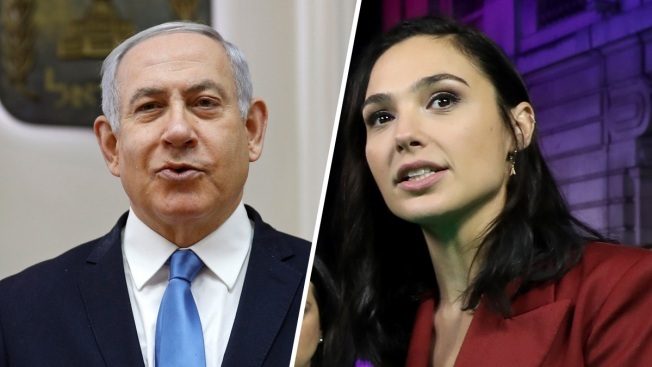 On Instagram, Israeli actress and "Wonder Woman" star Gal Gadot shot back at Netanyahu for his seemingly exclusionary comments, according to NBC News. "It is not a matter of right or left, Arabs or Jews, secular or religious," Gadot said. "It is a matter of dialogue, of dialogue for peace, and of our tolerance for each other. It is our responsibility to shine hope and light for a better future for our children."